Mac is one wonderful platform with a wide range of possibilities. However, these possibilities may sometimes include errors. Error code-36 is one rare error among them. Assuming that you arrived here to learn how to fix Error 36, I will explain you exactly that coupled with the additional info. 1 What is Error code-36? 1.1 How Mac Error Code 36 Looks? 3 How to Fix Error Code-36? This is somewhat rare species of error. You may encounter this error code when you try to copy files on your Mac. 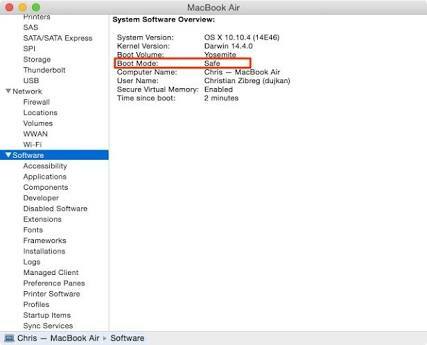 It is able to arise on any Mac operating system, doesn’t matter if you have a laptop or desktop. Error appears while you want to copy files or folders to a new location, or copying them to an email or any other instance. Regardless of the case, this issue will completely stop the process and will not allow you to perform the operation you desire. It isn’t a very common error as most users don’t copy folders regularly, but it might still be frustrating if there is an emergency and you need to copy something important. This error will ruin your mind then. How Mac Error Code 36 Looks? Error code-36 could affect any file. However the main type to deal with is invisible .DS_Store files. The “dot-underscore” are the companion files that Mac OS X’s HFS+ filesystem creates for files when they get moved to FAT16 or FAT32 volumes, or called thumb drives. These hidden files contain extra information, like which holds metadata like icon images and files. The problem can arise when moving files from a Windows-compatible volume to a Mac and then back again, resulting in the nagging “Error Code -36″. Knowing the root of the problem always proves to be helpful while finding the cure. Hence, I always advise you to learn about the causes, before moving to the solutions. However, this time I’d like you to move directly to the solutions as Error Code-36 has no simpler reasons other than some problem in the directory of the files and their proper location. I can explain about the complex causes too, but that won’t help as not everyone is a Computer Science genius. Luckily, the solutions I’m providing are regardless of the cause, so you can comfortably utilize them and get rid of the error. How to Fix Error Code-36? I’m presenting you the 3 best methods compiled by the pros coupled with the stepwise guide that will surely fix Mac Error code 36 in most of the cases. You can try these methods one after another, in case if one doesn’t help you out enough. Step-1: Firstly turn on your system and go to Terminal by following this path: Application-> Utilities-> Terminal. Step-2: Now type dot_clean and a single space in the first line of the Terminal. Step-3: Then, drag the flash drive, memory card or file icon to the terminal window, and the /path/folder will be generated. Step-4: Now just press Enter on your keyboard. This will merge the hidden files with their host files, which further will fix the error. Step-5: Try copying the files now and check if the error is gone. Done. You have successfully completed the procedure. You can now continue using your Mac without being interrupted. If the error is still there, scroll down to another method. Often times, some shortcomings like lack of permissions, sharing options or some problem in the external media might cause Error code-36 in the Mac operating system. If this is happening in your case, follow these steps in order to fix the error. 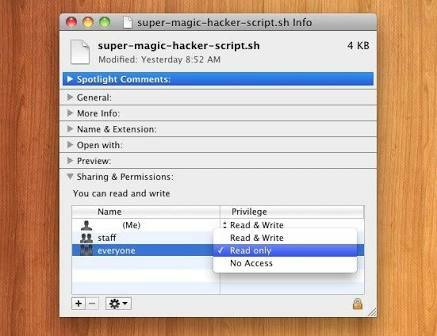 Step-1: Check the permissions for copying the files in the Finder. 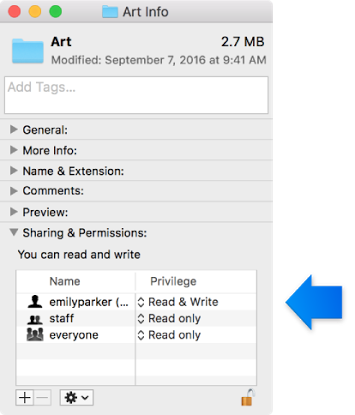 Go to the Permission and sharing options and make it to “Everyone.” However, before doing this make sure that your account has read access to these particular files. You can take ownership of the particular files that you are trying to copy. After doing any of the above mentioned task, check if you are able to copy these files now. If you can, just give us a thumbs up and enjoy. If you cannot, perform Step-2. Step-2: Check if there is any problem in the external media. Also, check if all the connections are stable too. Step-3: Turn off your computer and boot it in Safe Mode. Now try copying your files. If you can copy them now, restart your PC normally. If you cannot, then also restart your PC normally. Done. If this method was able to resolve the issue, you can continue copying whatever you want. If this didn’t, scroll down and take a look at the next method. Until now we have tried whatever we can do on our own. Now we will seek help from another softwares. These softwares work like charm if the cause for Error code-36 in our system are viruses, malwares, junk files or corrupt files. Note: These third-party softwares are properties of there respective owners and in any case, we are NOT responsible for any action performed by them. 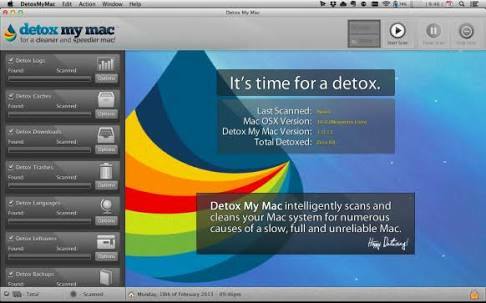 Detox My Mac is a special tool that helps you to clear the clutter and therefore helps to fix the error. You can use this to save your system from errors and have fast and error-free Mac. 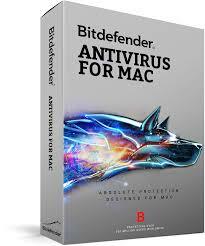 Bitdefender Antivirus for Mac is one of the best antivirus and protection tool available for Mac. It offers excellent malware protection coupled with a great ransomware protection. You can use it to clear the intruders and this will further fix Error code-36. Error code-36 is not a common sight on Mac user’s screen as Mac operating systems are usually good at preventing problems, through various techniques. However, users still encounter it sometimes, which implies that it is necessary to know how to fix. Therefore, I provided you the 3 best methods to fix Error code 36 in Mac OS. If either one of them worked out for you, you are grateful to us. If none worked out, feel free to go through the official Apple Support Forum. You can also contact the Apple customer services in case if you are still facing the issue. They would be glad to help you out. Hope I helped you and you found what you were searching for. Have a nice day, Folks ! Open the OS X Terminal. Type “dot_clean -n” followed by a single space. Drag the specific file or folder to the Terminal window and press Enter. I’m trying to copy a 1.4 gb mp4 file to a Kingston USB drive. Your “solutions” didn’t work at all. The Terminal command… no luck. In fact from what I’ve read this terminal command almost never works. I also checked for errors and corruption on the USB drive that I’m copying file to… everythings fine. Other files copy ok, just not this mp4 file. What’s going on? Why Why Why? I have been using a samsung t5 500gb that I bought about 3 months ago on both my mac and my pc without any problem. I’ve copied numerous files both places. I bought the samsung t5 1tb today, and now this error is coming up in every folder I’ve tried to copy- many are the same folders I copied on the 500gb with no problem only weeks ago. Not only is the 1tb doing it, but now the 500gb is doing it as well! I have tried changing permissions and going through the dot_ … in terminal with no luck. Is it possible that the instillation of the 1tb t5 caused something else to change?